Much like British naval vessels once considered noon the start of their day, 7 am is the start of the day in the Paterson ER (150,000 visits per year). During the next 24 hours an average of 415 patients will seek care (Monday and Tuesday always being the busiest). They will be cared for by 17 emergency physicians, 4 nurse practicioners, and 45 nurses supported by three dozen scribes, techs, transporters and registration personnel. But for now only about 30 patients are in the department. It is a busy time of transition. The night shift physicians and most of the nurses have been here since 7pm. When they came in nine zones were humming along at full power. Now they are turning over only four areas to the day shift. Before the new team can begin caring for patients the off-going Team must sign out. Physician to physician. Clinical nurse to clinical nurse. Charge nurse (See Inset) to charge nurse. All patients in the emergency department proper are “owned” by someone. This ownership (responsibility) forms the basis of the complex systems that provide medical care. “Ownership” in the Paterson ER is geographical. 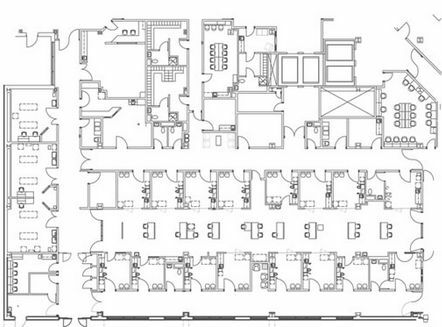 This very large ER (88 beds with 15-20 additional spaces for overflow) is broken down into nine zones (excluding the Resuscitation bays and Psych area). Each zone is staffed by a set team of one physician and two nurses for 8-10 beds. They are supplemented with a scribe for the doctor, trainees (residents, medical students) and pull from a pool of transporters, registrars and techs. CHARGE NURSE – The senior nurse responsible for the immediate operations of the department. Typically all personnel (excluding physicians) work directly for the charge nurse during their shift. The charge nurse generally has the most comprehensive situational awareness from moment to moment and handles 100+ communications per hour. They are traffic controllers, problem solvers, coaches, fixers…. all-knowing and all-important. Because of this scale areas have specialties. 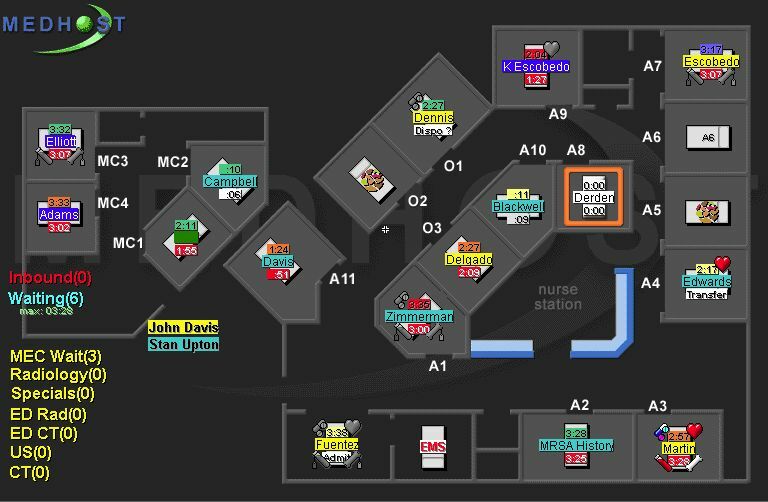 Zones 1-3 (Main ER) care for adults, are open 24 hours a day and receive the most critical patients. Zones 8 and 9 are pediatric and also never close. Zone 4 (also known as Supertrack) is a hybrid unit taking care of ambulatory patients with low to moderate intensity complaints. Zones 5 and 6 make up the SrED (Senior ED) and specializes in the care of those 65 and older. Finally Zone 7 is an area in transition currently taking care of the excess demand the other units can’t handle. At 7 am with only four zones open (3 in Main ER and one in Peds along with the Psych and Trauma areas), the department can comfortably handle the roughly 8 patients an hour that are arriving. 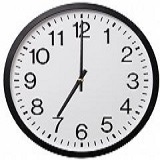 Beginning at 9 am that rate will sharply increase until 20 patients are presenting for care per hour. As demand increases more zones with more beds will come on-line. EMERGENCY PHYSICIAN – A physician who practices exclusively in emergency departments after receiving specialized training during their residency (after medical school). Generally certified by the American Board of Emergency Medicine or American Osteopathic Board of Emergency Medicine. PatersonER has one such training program that graduates six physicians per year. While residents they are closely supervised by emergency physicians as they learn the art and science of the emergent evaluation of the acutely ill patient. The pattern will be much the same for each of those 415 patients. 1)Come in, 2) get triaged (sorted), 3) go into a treatment area (bed), 4) be seen by the doctor and nurse, 5) receive ordered tests and treatments, 6) receive a disposition and 7) leave. Some patients will require this faster, others slower. Some will require very intensive care and others just an xray or a prescription. Frequently those who are dying will be saved. Sometimes though a patient will die. All will be touched by multiple people and their care will require the close cooperation of multiple departments and systems during their stay. Compassion amongst organized chaos will be the order of the day. Technology plays a big role in modern healthcare but particularly in a SuperER. Without electronic medical record system (EMR) that integrates bed management, medication/test ordering, charting, and disposition planning there is no way this complex system could function. Though paper certainly exists in the ER more and more information is transmitted electronically. It is not unusual for physicians to have 4-5 different program running in order to access their patients’ current information, previous history, lab results, and digital images of radiology tests (CTs, ultraounds, etc). BEDSIDE ULTRASONOGRAPHY – Since the 1980s emergency physicians have been making use of bedside ultrasound machines to expedite the care of patients and improve care. Commonly they are used for the evaluation of abdominal pain, complications of pregnancy, and rapid diagnosis of the critically ill (FAST exam – see image). This great, non-invasive technology is also being used to make certain high risk procedures safer including the placement of central venous catheters. Next week Anatomy of a Super ER – Part Two highlights some some of the important innovations at PatersonER including Pivot Triage, the SuperTrack, and our astounding evolution of the emergency care of geriatric patients. We get in depth into the care of some of the most critical patients including those with major trauma and life threatening heart and brain emergencies. Press on the link below! See Anatomy of a Super ER – Part Two where the story continues! 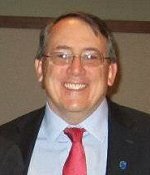 Dr. Adinaro is the president of NJ-ACEP for 2013-14 and is the Chief of the Adult Emergency Medicine at St. Joseph’s Regional Medical Center in Paterson, NJ. He is also the current editor of the “Year of Confusion…Year of Opportunity: 20 Things Changing Emergency Medicine” blog. Dr. Adinaro can be reached via @PatersonER . This publication represents the personal opinion of the author and does not reflect NJ-ACEP or his employer. Thanks! While I am proud of what we do you are absolutely correct….all EDs big and small operate on a high level everyday! Dr Adinaro I read this with great interest as I work primarily with A&E (ER) departments in the UK. I would be interested to benchmark your staffing and patient wait times of a typical ER in England with yours. In the article you say you have 17 physicians on duty over a 24hr period-how many junior doctors would also be on duty over 24 hours? In the UK emergency care is primarily provided by such doctors. The use of scribes is interesting. Could you say a bit more about this role as I don’t think we have this position in the UK? What is the average wait time for treatment in your unit, the average total treatment time and do you ever have patients in the department longer than 4 hours before admission or discharge? In the UK we work to a 4 hour target with 95% of patients having to be seen in that time. Robert. I will see what I can answer of your questions. We have 17 physicians over the day working an average of 10 scheduled hours each so that would be 170 hours per day. We do have about 9-11 residents (junior doctors) who work 12 hour shifts each day. The scribes I will be covering in part 2 but there was a great NY Times article a few days ago that does the concept better justice. Our door to doc time (wait for treatment) is 36 minutes. 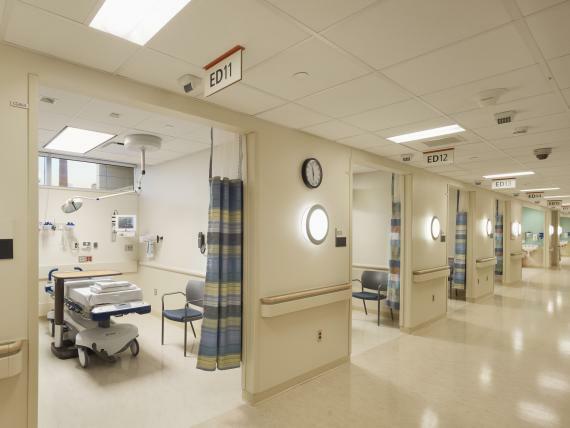 Median Door to Completion is 168 minutes for discharged patients and 310 minutes for admitted patients. Dr Adinaro. I think Dr Royce is stating that 95% of their patients must be seen in 4 hrs aka our Door to Doc time. I’d be willing to bet that your door to dispo time would also beat 4 hrs on most patients except maybe chest pain rule outs where a second set of enzymes are obtained. I’m pretty sure the doc to dispo time is under 4 hrs at the 2 facilities where I work in Delaware — because the hospital administrators are tracking those times to see if the delay in the admission times is due to the ED docs or the Admitting docs. loved hearing about this ED….I was an ED charge nurse/ manager for 25 yrs and this stuff is in your blood…..place sounds absolutely amazing!!! Looking forward to hearing about Pivot Triage and the care of the geriatric patient.